On the nose there are notes of roses, earth, kirsch, and cocoa. In the mouth, the wine is concentrated and viscious mirroring the nose with big but balanced tannins and hints of black pepper. This wine is an intense experience! The extended barrel time helped to develop robust aromas of black pepper, blackberry, currant, fig jam, molasses, and smoky oak. These notes follow through on the palate and combine with dried herbs, smoked meat, and cocoa. Enjoy big tannins, an imposing mouth-feel, and an unexpected brightness on the finish. Petit Verdot fans will want to keep this wine around for many years to enjoy how the complex flavors age. Rarely seen bottled alone, Petit Verdot traditionally lends support to its more famous stable mate Cabernet Sauvignon. 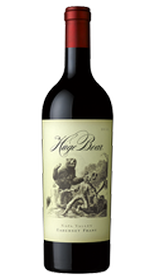 However, Huge Bear decided that we should put Petit Verdot in the bottle and enjoy its’ massive explosion of flavor! The low crop in 2015 made an monumental Petit Verdot with indelible purple-black color combined with scintillating flavors of chocolate, cassis, and mulberry. This robust Cabernet Sauvignon is selected from a specific block on the Knights Bridge vineyard, and bolstered by just a touch of Petit Verdot. Aromas of red currant, blackberry, plum, and cedar abound in the glass. 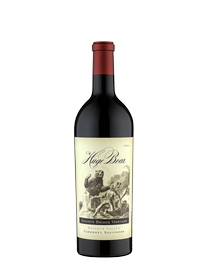 These notes are followed on the palate accompanied by licorice, baking spices, and dark berry compote flavors. The dusty, yet gentle tannins lead to a sweet, powerful finish. This rich Cabernet is drinkable now, but will age for many years.